ATLANTA, GA / ACCESSWIRE / October 17, 2018 / Findit, Inc. (OTC PINK: FDIT) a Nevada Corporation offers insight into how Findit helps businesses improve their overall online presence. Ten years ago search engine optimization (SEO) was still a relatively obscure term. In 2018, business owners no longer have the luxury of being blissfully unaware of SEO strategies. Gone are the days of customers stumbling upon your product or service on the internet without you taking deliberate steps to lead them there. Your market is too competitive for that, and if your SEO isn't up to snuff, you're handing business away to your competitors. With users increasingly looking for more information online before purchasing products, the importance of SEO is growing year after year. Have I mentioned SEO matters? Okay, now that we've got that established, we can understand why business owners are always on the hunt for new ways to increase their online visibility. This is the niche that Findit.com, which bills itself as a social media content management platform, has mastered. The SEO equivalent of the alchemist's aspirations of turning lesser metals into gold, is giving users first page rankings. Findit consistently manages to achieve this feat for its users. Search engines want one simple thing: relevant results for their users. Every update Google or Bing makes to their platforms is designed to do this better than the previous version. Time on page indicates that the user finds the content interesting or informative, which is why they remained on the page for a longer period of time. A slower load time will increase the bounce rate. Using this as a metric encourages websites to maintain quality. Keyword relevancy is really what ensures that content will be on topic after the search engine has crawled through the site. But the overall concept is to make search engines "think" or respond in a continuously more human-like manner. It just happens that the products and services offered on Findit align with the objectives of search engines. Findit offers URL addresses that often target specific keywords. 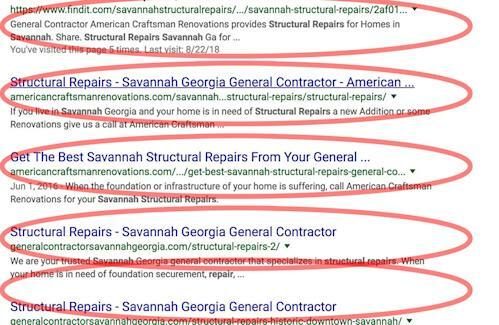 For instance, one of their members American Craftsman Renovations owns the URL Findit.com/savannahstructuralrepairs, which now ranks number one on the first page of Google when you search Savannah structural repairs. 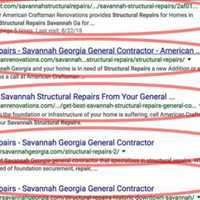 Search engines place heavy emphasis on the keywords in domains, so if you own a URL in Findit that contains, for example "Atlanta residential roofing," you're already one step ahead. Furthermore, the Findit domain that all the others are rooted to, has strong page authority and is a top 100,000 Alexa-ranked website globally. This in turn, benefits every URL associated with the site by giving them credibility in the search engine algorithms. Many of the Findit clients own multiple URLs, so they can target certain keywords and queries with more accuracy. 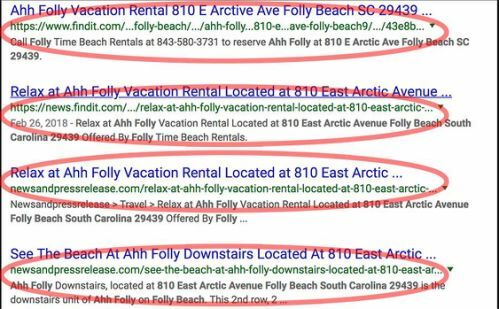 The reason for multiple URLs is so a business owner can target specific towns they service and the services they offer in that town. Select Floors and Cabinets a client of Findit, Inc. has over 20 Findit URLs. These URLs include the name of the town and type of flooring. The 3 URLs below are owned by Select Floors and Cabinets in Findit. These URLs have been added in the past 60 days. Since adding these URLs and creating content that links back to the company website www.selectfloorsandcabinets.com, the website is now indexing on page 1 in Google under the words listed below that come after Findit.com/. Prior to engaging Findit these search results did not exist. That's where the Findit content team has been able to work miracles (hint:they understand the science of SEO). The Findit content creators only write relevant content for their clients. A roofing company in Atlanta will get exactly that - content about roofing in Atlanta. All of the major search engines are striving to respond to search queries with more personalized results. In fact, they're succeeding at this. An experiment conducted in 2011, showed that over 50 percent of Google searches were factoring in specific user information (i.e. location, interests, search history). The bottom line is, if you live in Los Angeles or New York City, a San Francisco roofing company is probably not a relevant result if you're looking for someone to hire. Google, Bing, and Yahoo recognize this - and so does Findit, which is why the Findit content team uses phone numbers, addresses, and other information in the meta-tags and meta-descriptions. In doing so, they're providing the search engines with more personalized data to crawl. Additionally, Findit posts a variety of content on their clients' behalf. According to a study by Cisco, video will account for 82% of all consumer internet traffic by 2021. Findit supports and posts all variety of media, including videos, images, and written content. Search engines reward diversified content because the user is able to consume information in their preferred manner. Search engines are built on algorithms and artificial intelligence, but it's teams of people who revise, update, and ultimately steer the search engines to be more human-like in their thinking. They are no longer simply lifeless tech - your content should "speak" to them like you're talking to a person, the underlying assumption being that, the search engines can pick up on the personal details. Google and other search engines are continually placing heavier emphasis on social media engagement because they can easily associate profiles with brands and websites now. Likes, retweets, social clicks, status updates, and shares factor into your page rankings. Findit enables users to share across all of the major social media platforms straight from the site. You can use this feature to generate social media momentum, so that every time you or the Findit content team creates content, you can spread it with a click of a button. When you're on the Findit website, one of the other things you'll notice is that you aren't bombarded with a ton of ads. However, the ads you do see are set up through Google Adsense to encourage its crawlers to frequently index the Findit pages (after all, Google wants to make money, right?). This is the same reason why you can get onto the website without necessarily needing a profile - it allows the crawlers to do the same, making sure Google is analyzing all of the Findit content. Findit also has search categories. For instance, real estate has its own section on the site, so other users in the system can search for listings just as they would on VRBO or AirBnB. Coincidentally enough, Findit users in that vertical frequently outrank listings posted even on these specialty real estate and hospitality platforms. Here is a listing in Findit Real Estate. The property manager of this listing did a press release and Right Now status update through Findit. The result for this listing in Google are 8 search results on page 1 due to the Findit press release and post, we are showing a screenshot dated October 16th, 2018 with 4 of those results. Lastly, early members of Findit can own their ideal Findit address instead of their second or third choice. 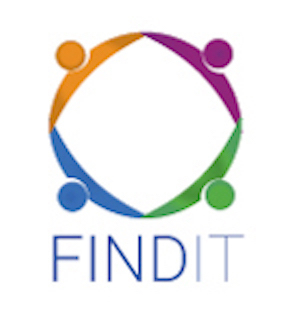 Findit is a publicly-traded company on the OTC Pinksheets stock symbol FDIT, with growing membership, and consistent improvement to its traffic ranking on Alexa. Early adopters often see the highest results. By reserving your Findit address now, you would be an early adopter.